Los Cabos, located at the southernmost point of the Baja California Peninsula, with it’s two towns of San José del Cabo and Cabo San Lucas, sits on a unique geographic position and remarkable topography. Los Cabos, located at the southernmost point of the Baja California Peninsula, with it’s two towns of San José del Cabo and Cabo San Lucas, sits on a unique geographic position and remarkable topography. Cabo San Lucas straddles two oceans when they meet at Land’s End. The area encompasses both desert conditions and tropical summer rainfall patterns, thus allowing for a wide range of vegetation types to flourish. There is a wealth of plant diversity. Coastal chaparrals, conifer forests, low desert scrub bushes, and tropical unique deciduous forests are found here. You will see many varieties of cacti, including some that are hundreds of years old. It is truly an environment that is worth being preserved for generations to come, as part of this area’s legacy. On land of unparalleled beauty, at the edge of the Pacific Ocean just north of Cabo San Lucas, we arrive at Rancho San Lucas, the stellar private luxury resort presented by Solmar Group. 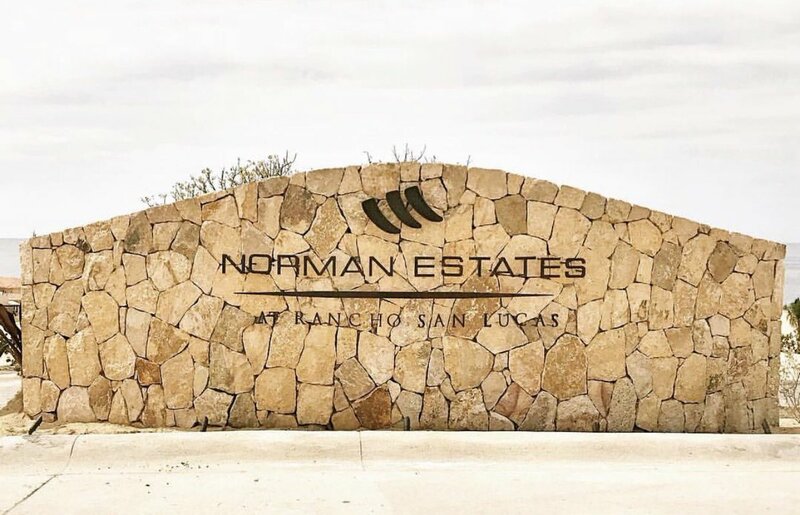 Truly committed to preserving its ecosystem, the world-class infrastructure at Rancho San Lucas showcases the endemic natural beauty of its surroundings, while blending upscale architectural design and a magnificent Greg Norman Design Group golf course harmoniously. Featuring 1.2 miles of white sand beachfront, Rancho San Lucas will have the only true oceanfront home sites in the area, offering real estate opportunities at its most exclusive address, the Estates, with 32 single level estate homes and 36 luxury condos. This 834-acre master-planned community also features Villas located on the highest vantage point of the development, affording spectacular ocean, golf course and desert views. A standout part of the development is the 18-hole golf course masterfully laid out by Greg Norman Golf Course Design, whose philosophy mirrors the developer’s mindset. 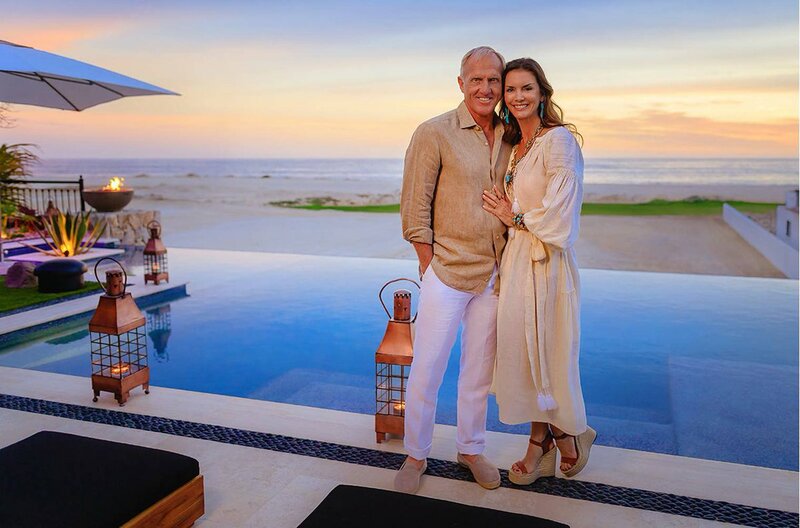 “We are so proud to be working with Greg Norman and his group. This solidifies the Rancho San Lucas commitment to create a unique quality product deeply rooted in the love for the land,” stated Claudia Velo, Marketing Director of Rancho San Lucas. Thousands of plants found on site have been rescued and housed in a nursery until time to replant them as part of the landscape design. Rancho San Lucas Greg Norman’s spectacular golf course is laid out to offer breathtakingly beautiful views of desert, dunes and sea from every hole. Seven oceanfront holes speak of the commitment to offer a golf experience second to none in Los Cabos. Nature-lovers will find beauty all around as they walk along the many trails and wind through the desert terrain and rolling dunes, where they’ll be greeted by the short squat rounded Biznagas, the abstract shaped Chollas, the white bark of the Palo Blanco trees, and the ubiquitous ancient Cardon cacti, a testament to withstanding the elements. Nature has found a haven in the midst of the area’s growth at Rancho San Lucas where populations of local species like quail, road-runners, jack-rabbits, foxes and deer are being maintained. Even a stray mare has made Rancho San Lucas her home and she is now seen roaming happily around the property. This one of a kind development is devoted to conserving the natural environment while creating a unique quality product deeply rooted in the love for the land and the Baja way of life.